 Established in 1961 as a County Hospital District, Concho County Hospital is a 16-bed hospital and is designated by the Centers for Medicare and Medicaid Services (CMS) as a Critical Access Hospital (CAH). Welcome to your Patient Portal, Your Medical Home on the Web. With the Patient Portal, you can connect with your doctor, view your health records that is convenient, safe and secure. Concho County Hospital providing care when you need it. When you are admitted for a single night or a longer stay, for treatment or observation, you are here on an "inpatient" basis. Welcome to Online Billpay. Login in to pay your hospital bill online. The simplest, most secure healthcare payment experience possible. Quick, easy and convenient for you.